Anger is an emotion and like all emotions, it has a purpose. It helps us survive and motivates us to take action and make important changes. It protects us when life threatens us psychologically or physically. Left unchecked, however, it becomes toxic and corrosive. And when we react without restraint to its powerful rush of energy or without identifying the problem connected to it, we not only inflict pain on others, but on ourselves. It is up to us to seek out the meaning behind the anger we may be experiencing and discover its underlying issue or problem. There are many books I have acquired over my career written by professionals in the field about major issues we all face. The authors of today’s two featured books help us understand a very difficult problem we see all around us today. They help clarify the underlying causes of anger and rage so we can apply constructive and positive solutions. 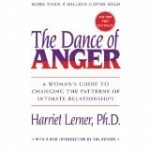 The first book featured today, “The Dance of Anger, A woman’s guide to changing the patterns of intimate relationships” by Harriet Goldhor Lerner, Ph.D., is one of those books written many years ago, but is timeless in its understanding of a major problem we all face. So, Where are your stress levels today? As we continue our series on stress, lets review what we know about stress and how we can make it work for us. Stress is the energy that our bodies use to do things. We can spend that energy to create and realize our goals, make productive plans for the future, solve problems, play with our kids and enjoy productive and happy lives. Or we can squander it, use it up indiscriminately with little return. We can compare it to an inheritance we receive. We put it in the bank and determine how we will spend it. We can spend it rapidly on whatever pleases us in the moment, we can maximize its potential by using it in ways where we get the best return, or we can diminish its spending quality and burn it up needlessly through dis-stress. When we invest our money, we want to get a return of some kind. When we invest the minutes of our day, we want to have some kind of satisfaction and important gains to our lives in return. 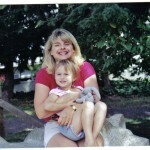 Those moments with your kids, your spouse, your family pay big dividends. Like any investment, we don’t realize the returns until sometime in the future. Would you see Him as stern – unforgiving – waiting for you to screw up? How does your perception of God influence your relationship with Him? Does it bring you closer or keep you at a distance? In “The Shack,” by Wm. Paul Young, the main character, Mack, receives a simple typewritten letter in the mail telling “Mackenzie” that he had been missed and if he wanted to get together, he “would be at the shack next weekend”. It was signed “Papa”. On his quest to overcome the sadness Mack continued to experience after the death of his daughter, he decides to take a trip back to the scene of the crime where his daughter had been snatched by a predator during a family camping trip and was murdered. 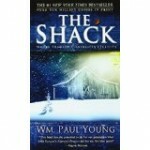 On the way he meets with an accident and Mack discovers himself at “the shack” where he comes face to face with God. What would you do or say if you came face to face with God, especially if He was totally different than you had envisioned Him? What would you do if He greeted you with love, a hug, excited to see you and with an invitation to join Him for dinner? What if He laughed and saw His world with eyes of positive expectation? In fact, what if He was a She? Can you laugh when your expectations of life have been turned upside down and you wonder how you will handle what has just been given to you – when the world you expected to be one way has been changed forever? Yes you can. But maybe not immediately. When my husband and I took our third child home from the hospital after he was born, it was with joy and excitement as he was a husky, healthy ten-pound baby boy. However, by six months we knew something wasn’t right as he was still unable to hold up his head. Many months later, we again took our son home from another hospital after extensive tests and a weeklong stay. Only this time we were in shock. 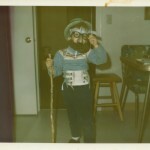 The final diagnoses was that Don had cerebral palsy of the worst magnitude (a-mi-tonic-quadriplegic was what we heard). We were instructed to have a brace designed for him as quickly as possible so he might have a chance to walk. They didn’t give us have much hope of him having a functioning brain: in fact, they gave little hope of him able to accomplish anything. Laughter is not just good for the soul – it is vital for our overall health – mental, psychological, spiritual and physical. Are there really health benefits to laughter, other than it feels good in the moment? Yes there is and it is confirmed not only through scripture and sages of the past, but also from medical research. Unchecked long held stresses over time contribute to illness. 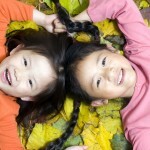 Laughter releases the hormones that heal our physical body and strengthens our heart and immune system. Hearty laughter exercises our heart – lowers blood pressure, gives our lungs a workout, releases tension in all parts of our body and releases opiates in our blood system giving us a high – a lift. What does humor or laughter have to do with concentration camps? Could laughter and humor have any place within conditions where people were being annihilated because of their faith and race? Wouldn’t that be sacrilegious to the sacredness of life to even suggest such a thing? Only someone who had been there, and who by the grace of God survived, could speak to such things. As I watched a documentary on the death and unfathomable horror of those Nazi concentration camps, and saw the recorded footage of the death and torture of thousands and thousands of Jews during WWII, as recorded by the British, American and even the Nazi’s themselves, it was unimaginable that it could be real. How could any man do that to another man? And how could anyone find meaning in such circumstances. 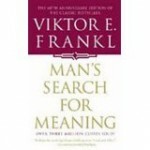 In his book, “Man’s Search for Meaning”, Viktor Frankl wrote about how he and others were able to discover meaning for life – even here. I was profoundly impact by his book during my graduate work. Perhaps the greatest gift that humor gives us is to be able to laugh at ourselves. Laughter, if just for a moment, takes the edge off the seriousness of death and tragedy, expands our world view, and more than anything else allows us to let go of our inflated self-image, our bloated pride and self-importance. Laughter clears the playing field, reduces levels of stress and gives our body the boost it needs to help fight off the effects of depression and loneliness. When we take off the rose colored glasses, we stop embellishing or diminishing ourselves through impractical comparisons, and realize that we are all God’s creatures subject to both humor and divine intervention. When we stop taking ourselves so seriously, we are able to laugh at the flawed parts of our nature while celebrating the parts that give rise to creative energy. Stress is very subjective. Perception is both the creation of stress and what we will do with it. It is both personal and unique. What stresses you out may not stress me at all. Any life event, major or minor, can become a cause of dis-stress. 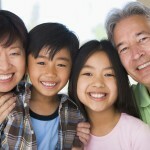 It can be an on-going source of irritation and even victimization. It can also be the beginning of an off-repeated humorous story. Can we take events and turn them into something we can laugh at for decades? Years ago in a speech I gave on stress to a group of teachers in the U.K. 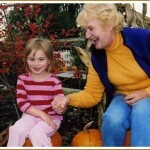 I shared one of the stories my father-in-law told our kids about when he was a kid. Their much loved Grandpa Bert was an easy-going guy, with seemingly not a care in the world who drove my mother-in-law crazy. As a kid he attended a small, rural school. Now Bert was not a student of academia – in fact he hated sitting in the classroom. During recess while other kids were busy jumping rope or throwing ball, he was busy exploring the tall grass around the little country school, looking for wonderful things such as bugs, worms, caterpillars, frogs – you name it. Laughter is not a once-in-a while event – it is a lifestyle – a way to look at life. You not only find the good things every day, but you find those moments when you can take an intolerable situation, one packed with emotions and stress, flip it on its side and tickle its tummy. It isn’t laughing at someone – it’s laughing at intolerable situations – its taking the edge off the adversity that is in front of you – it is enlarging the joyous moments – expanding the depth of our love and enjoyment of life. Humor takes the edge off any crisis.